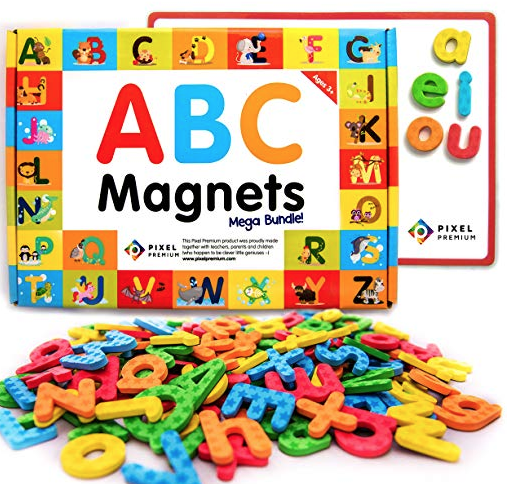 Today only, you can head over to Amazon to score this highly rated Pixel Premium ABC Magnets Gift Set for just $15.99! This set comes with 142 magnetic letters, and ultra-light magnetic whiteboard, more than 40 learning games through the educational e-book. This set will ship FREE with a $25 purchase, or with Amazon Prime.